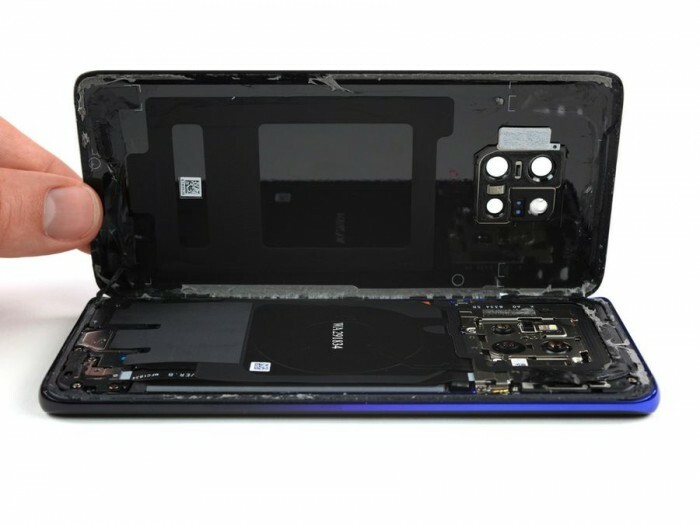 HUAWEI Mate 20 Pro dismantling: look at the "super running eye" inside. Mate 20 Pro has a 2K resolution AMOLED screen with a pixel density of 538 PPI. 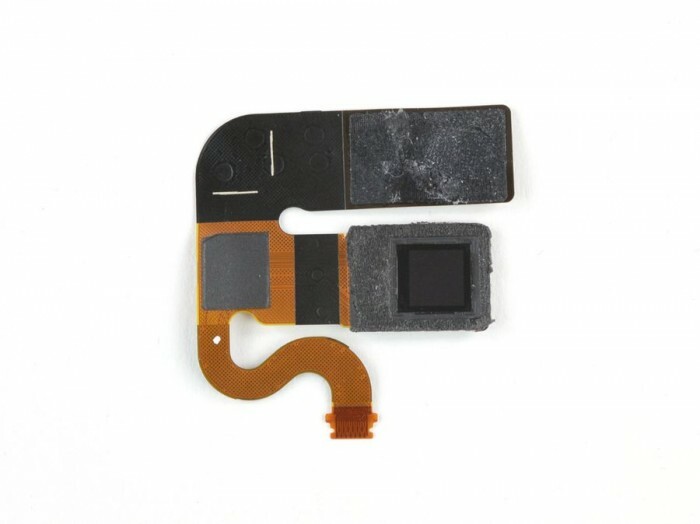 At the same time, it was equipped with fingerprint and 3D structure light. It also carried the world's first 7 nanometer chip Kirin 980. The camera inherited the Leica three lenses, but removed 20 million pixels of black and white lenses, replaced by 20 million pixels of ultra wide angle. 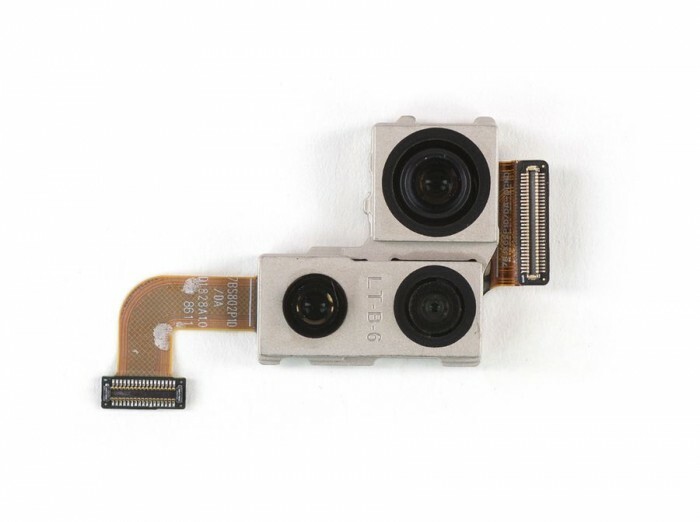 The two shots in the area are 40 million pixel wide angle lens and 8 million pixel long focus lens. 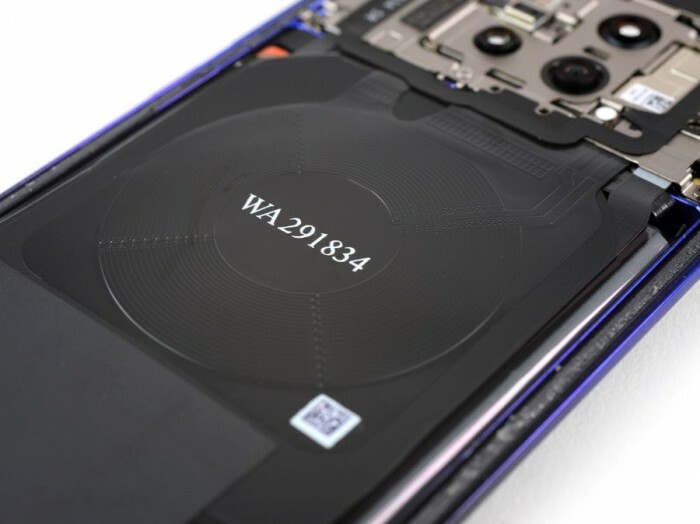 On the back, Mate 20 Pro without fingerprint recognition is more complete. 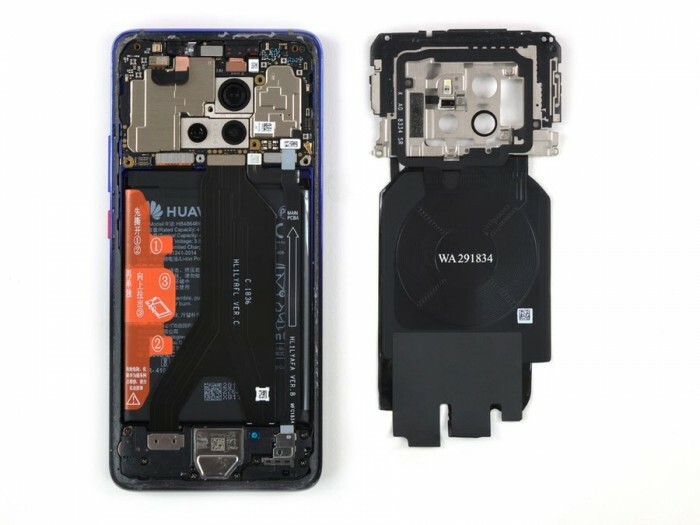 The glass on the back is not so smooth.HUAWEIThe anti slip and anti fingerprint coating is added, so that the mobile phone is not easy to slip out of the pocket. 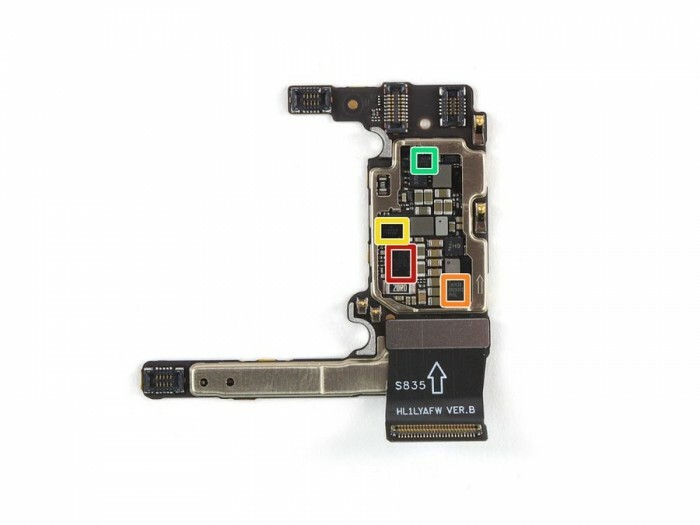 Mate 10 Pro speaker hole position in Mate 20 Pro has been changed to SIM card and NM card tray. 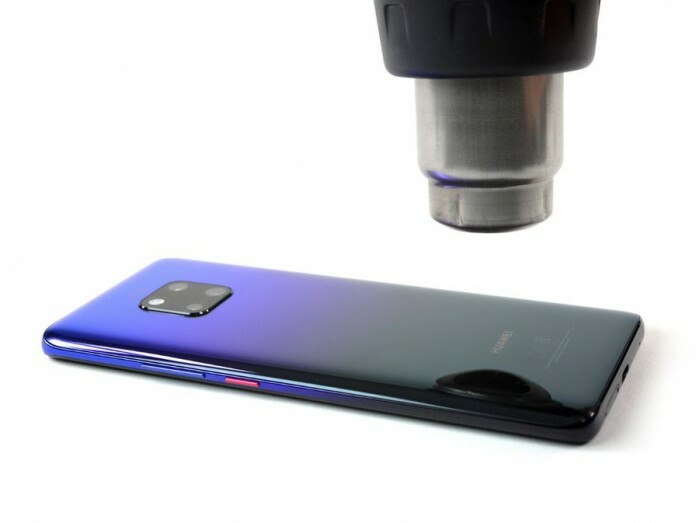 We use hot air guns to heat the glue on the back of Mate 20 Pro to facilitate subsequent disassembly. 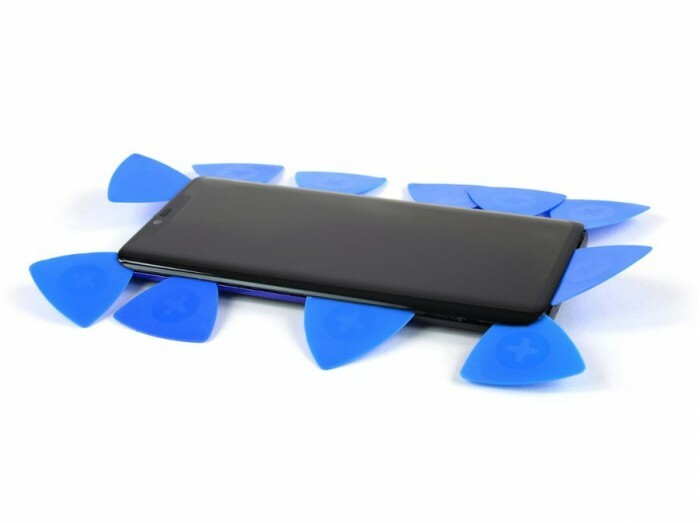 Because the back is made of glass, attention should be paid to the disassembly, and the glass back cover should be broken after the meeting. 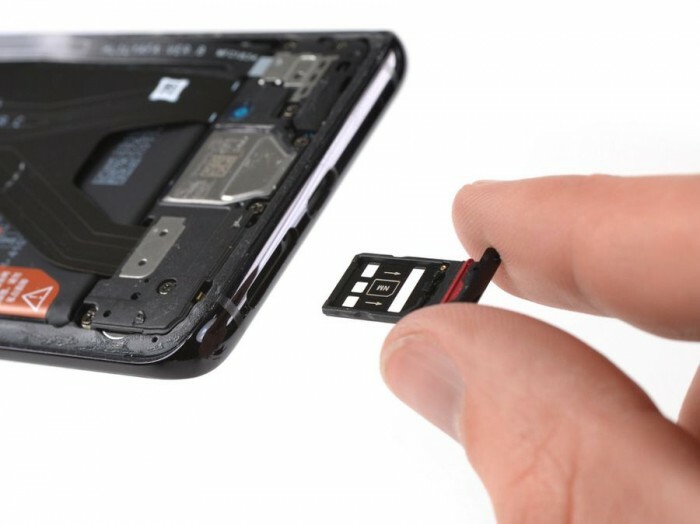 Mate 20 Pro redesigned the fingerprint identification position, so there is no need to worry about tearing the fragile flexible cable when removing the back cover. 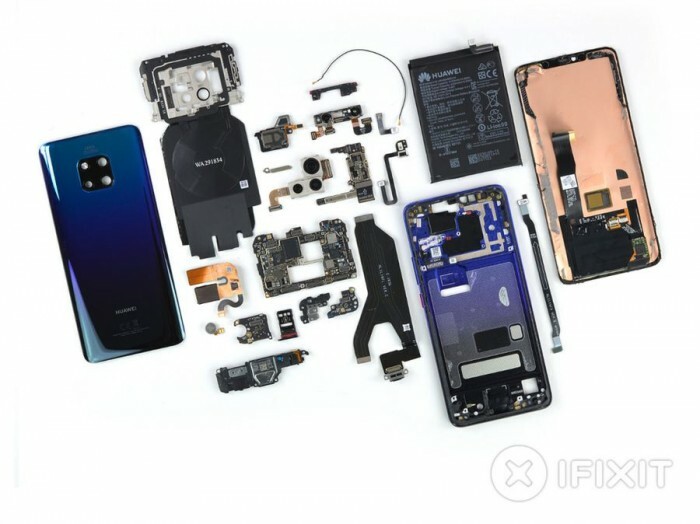 Finally, we opened the back cover of this mobile phone. 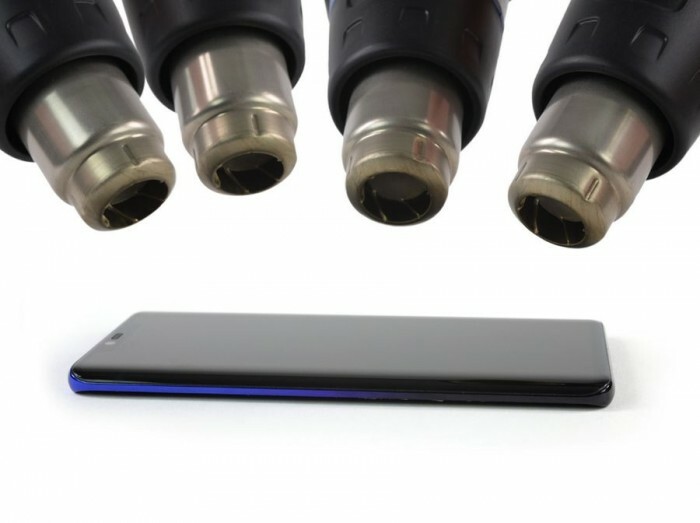 After opening the rear lid, one of the new functions of Mate 20 Pro is first seen: a two-way wireless charging coil. 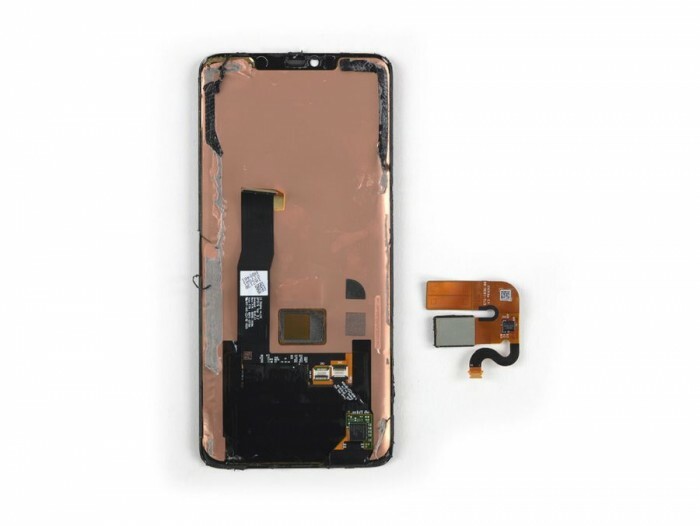 Mate 20 Pro's charging coil is both a transmitter and a receiver. Huawei wants users to use it to charge some headphones that support wireless charging or mobile phones that support wireless charging. But the latter can only be used as an emergency. 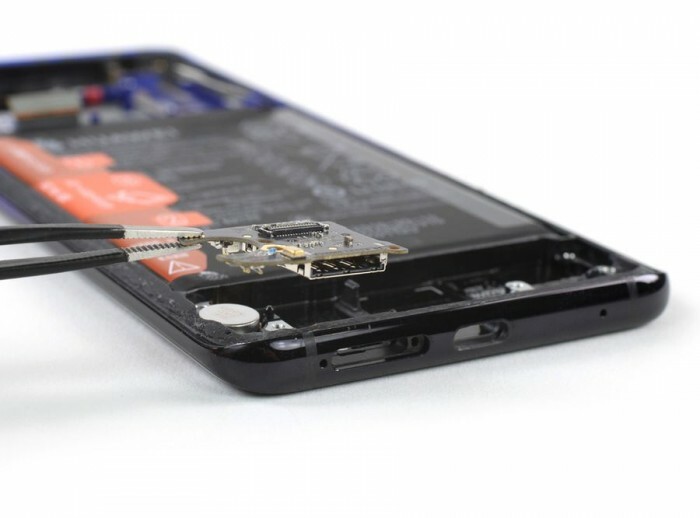 After removing eight screws, we removed the midframe assembly, which includes a wireless charging coil, an NFC antenna and a dual-tone LED flash. 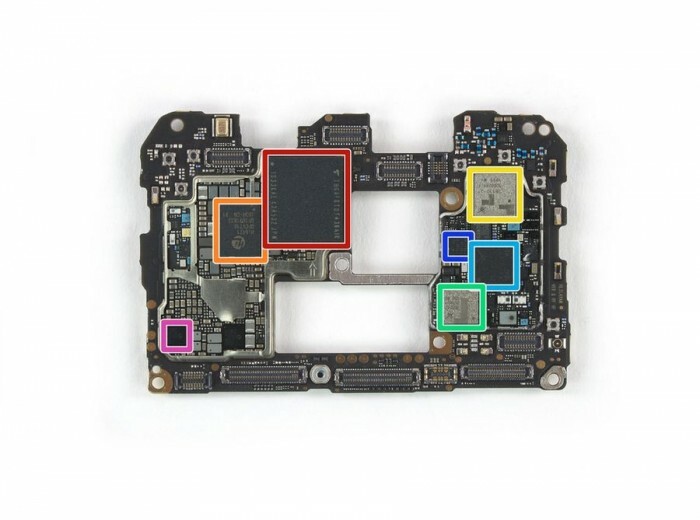 The first feeling when you touch the motherboard is that there is no cable connection on the motherboard, but if you look closely, you will find that there are nine flexible cables to fix it in place and one antenna cable. 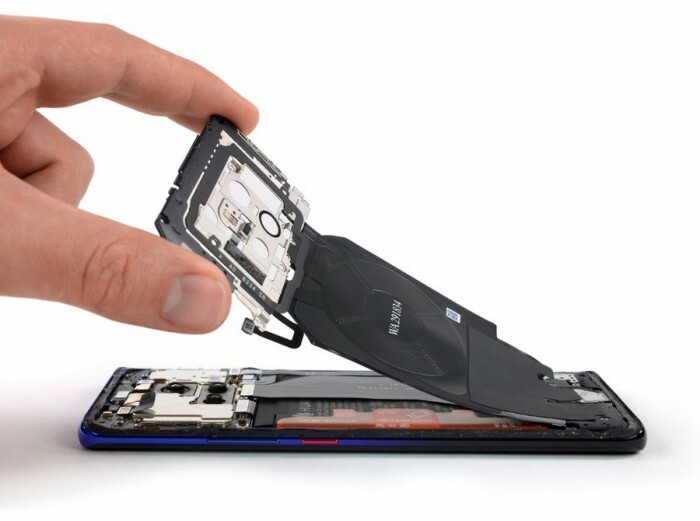 Like P20 Pro, Mate 20 Pro insists on using relatively small motherboards to allow room for larger batteries. 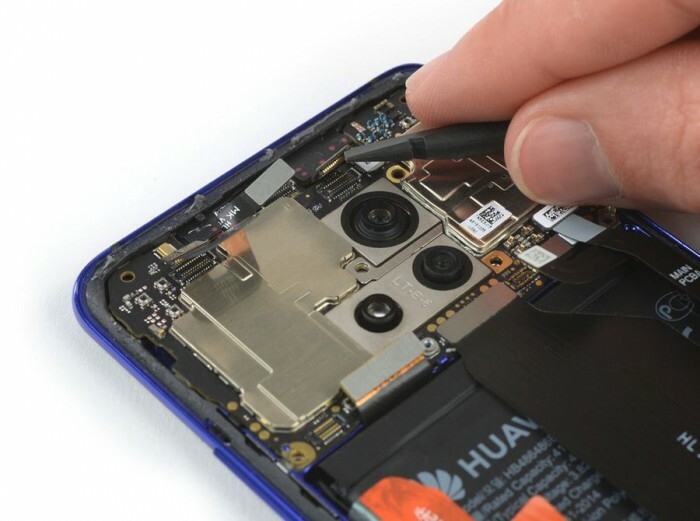 Because 3D facial unlocking hardware and three-in-one rear camera occupy more motherboard space than usual, Huawei has to cut some camera holes and change the layout slightly. After prying up some connections, we managed to remove the motherboard and rear camera. 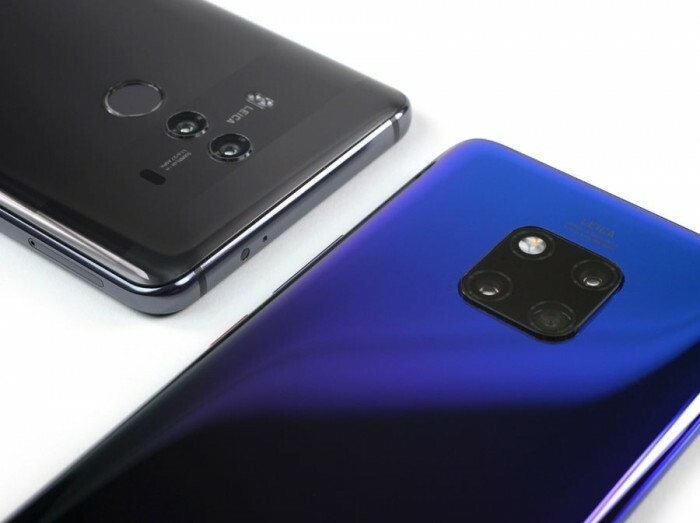 Mate 20 Pro has three rear cameras: upper right: 40 MP, f/1.8, equivalent to 27 mm wide angle lens; lower right: 20 MP, f/2.2, 16 mm equivalent ultra wide angle lens; lower left: 8 MP, f/2.4, 80 mm equivalent telephoto lens, 5 times optical zoom. 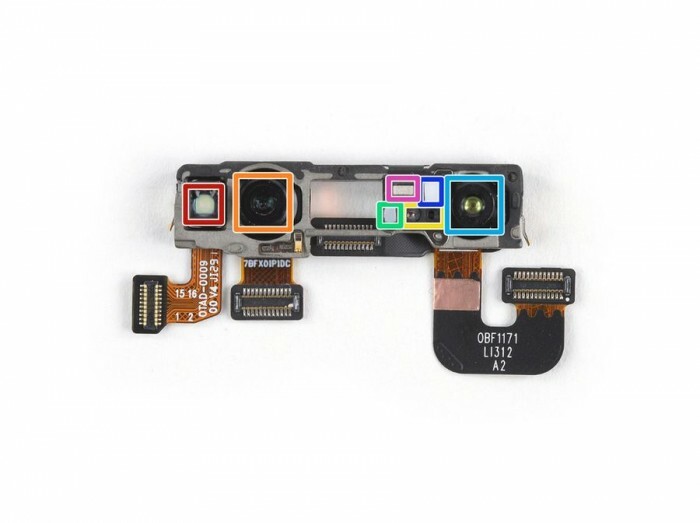 With the removal of the camera, the content of the motherboard gradually emerged, including Toshiba 128GB flash memory, power management IC and various LTE band modules. 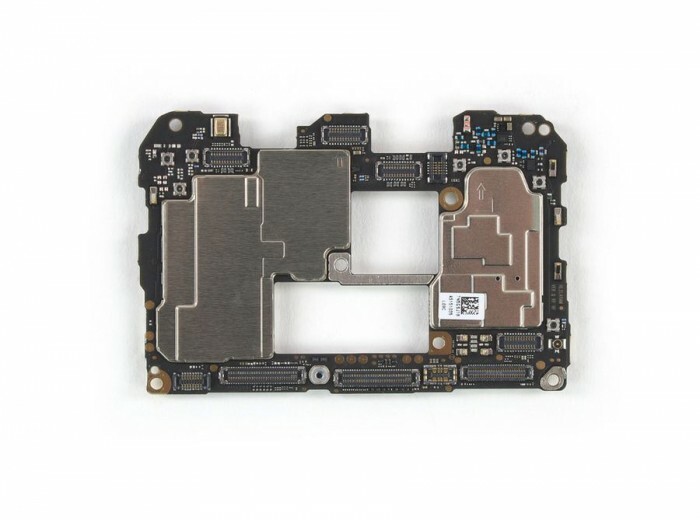 On the back of the motherboard, we can see the Kirin 980 processor, Wi-Fi chipset and other precision chips. 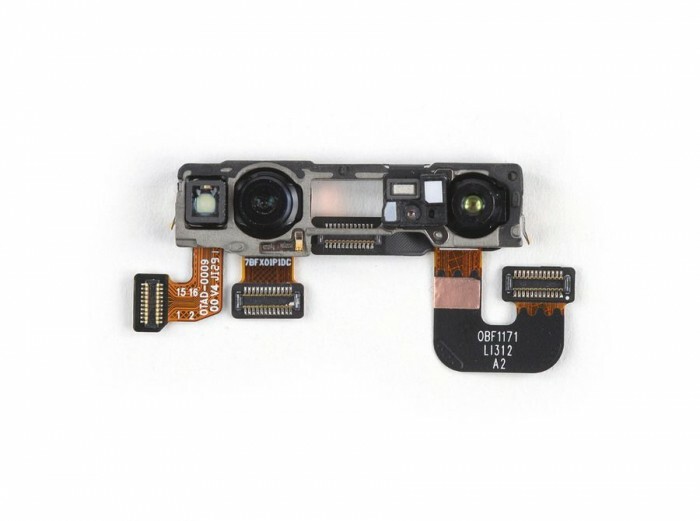 We removed the familiar front camera and 3D face recognition module. It seems to coincide with what HUAWEI showed at the press conference. We do some analysis, red is the point projector, orange is the front lens, the right side of those are rangefinder / distance sensor, floodlight, ambient light sensor, infrared camera. We didn't guess what it was in purple. We use tweezers to dig out a part of the motherboard. This part is mainly used for small interconnection boards of power and volume buttons. Above, we saw chips such as radio power receivers. 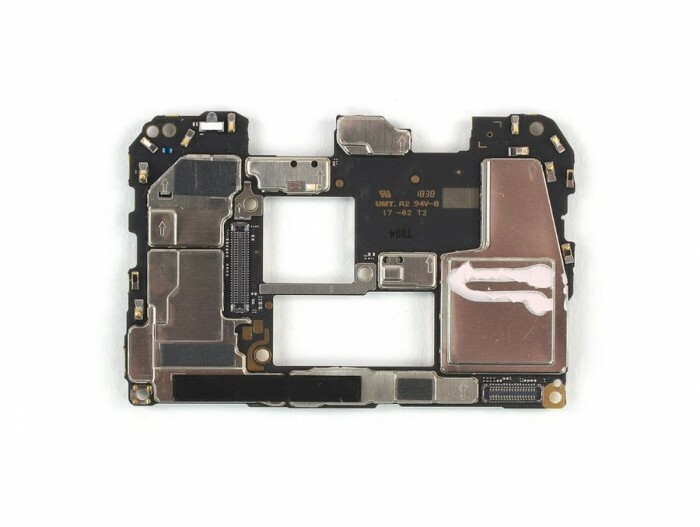 So far, the brain of Mate 20 Pro has been completely dismantled. Next we turn our attention to the other end of the mobile phone. 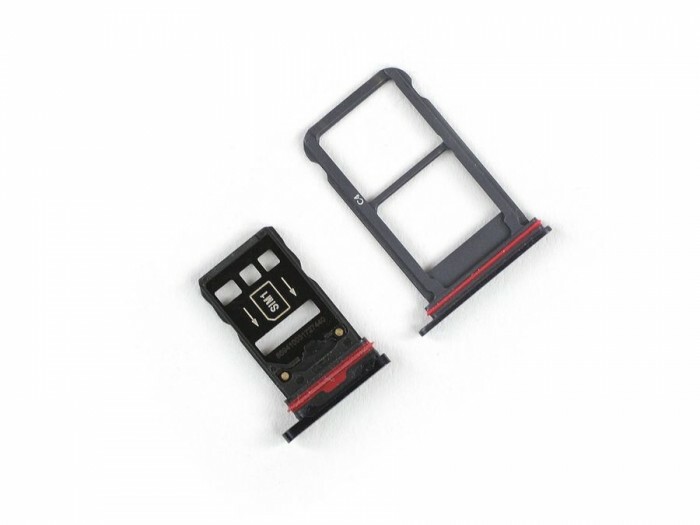 SIM card slots usually don't work out any new tricks, but this tray is different. It supports a new memory card format called nano memory (NM). The NM card is a nano-sized SIM card memory (45% smaller than the normal SD card) and can provide a maximum reading speed of 95 MB/s. 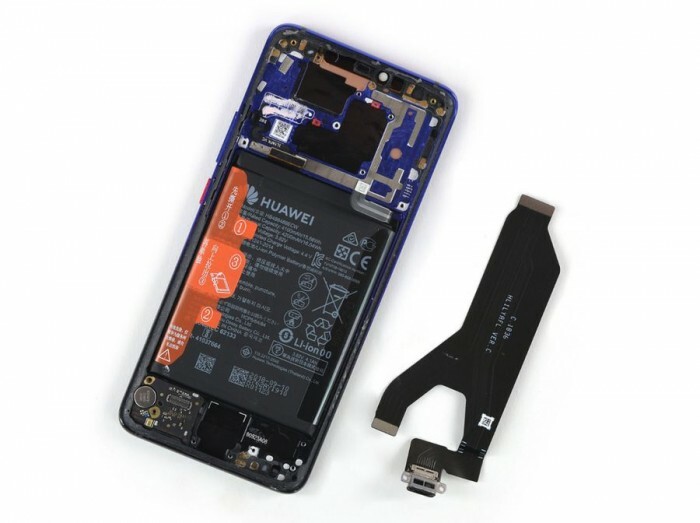 HUAWEI produced its own NM card to solve the problem of slow operation of mobile phones caused by low quality SD cards. 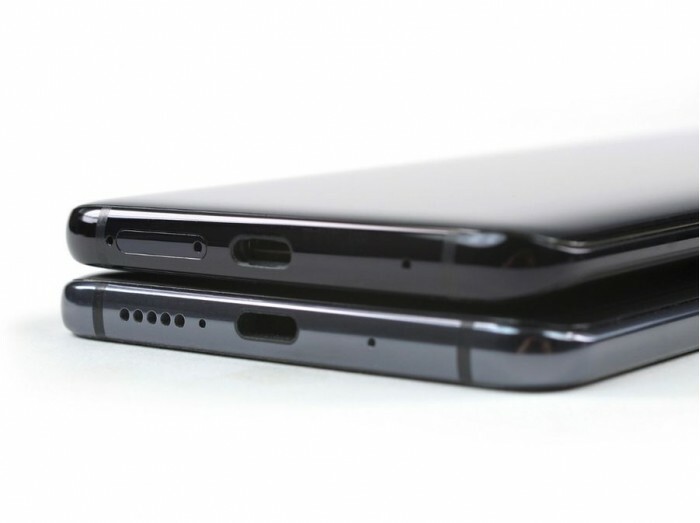 Like P20 Pro, the USB-C charging port is mounted on a large flexible cable. This means that if the charging port fails, you only need to replace the main cable -- not the more expensive motherboard. Another similarity to the P series is that there is no 3.5 millimeter headphone interface. In addition, we can see a SIM card reader installed on a small board, planted near the coin vibration motor. 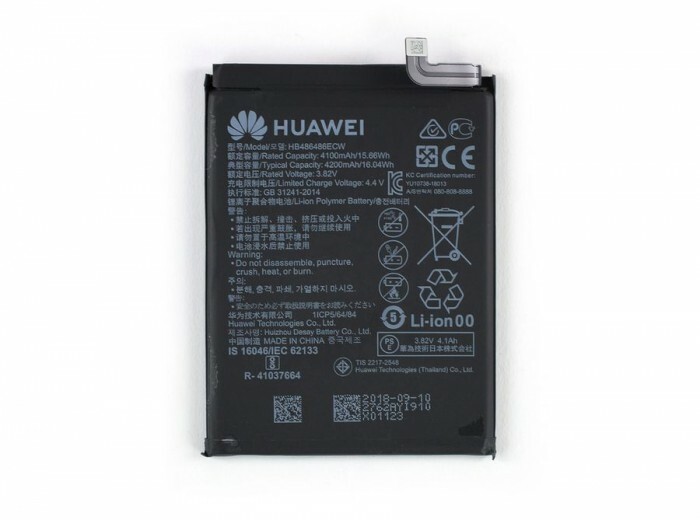 Next, we will take a look at the power source of Mate 20 Pro. To our surprise, we found some orange pull rings on the left side of the battery and a simple guide to how to remove the battery - we like this kind of thing, just like a guide. 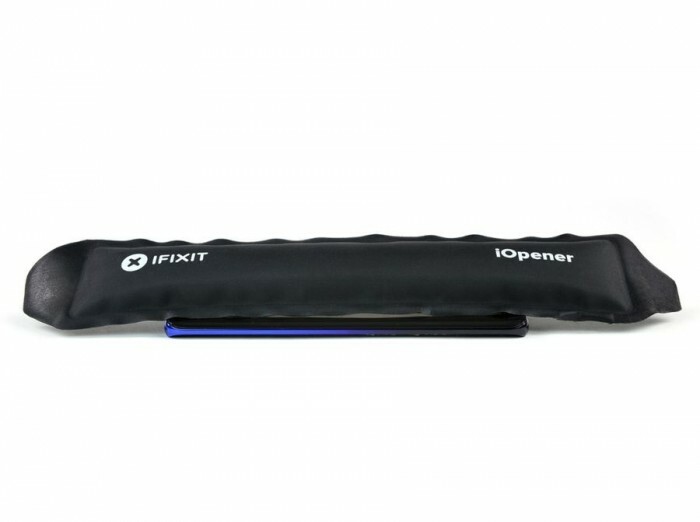 Next we took out the secret weapon, the multi-head hot-gun snake, and used it to fix the IP68 adhesive on the display. 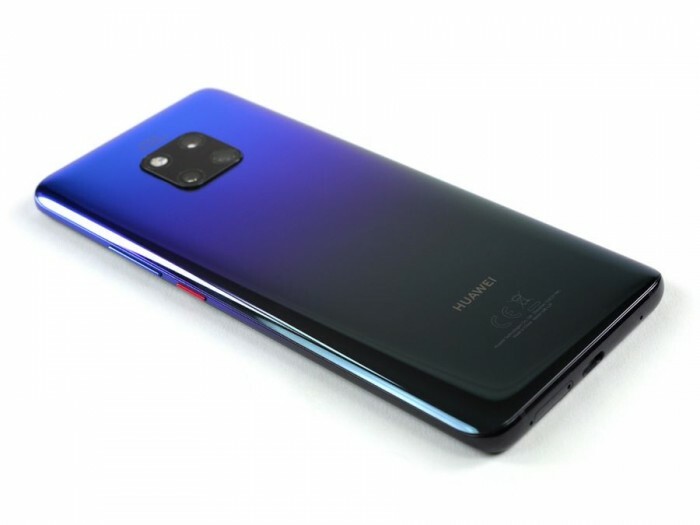 Yes, the last secret we need to explore is HUAWEI's curved screen. We thought this was the end of the work. I didn't think there was anything else in it. 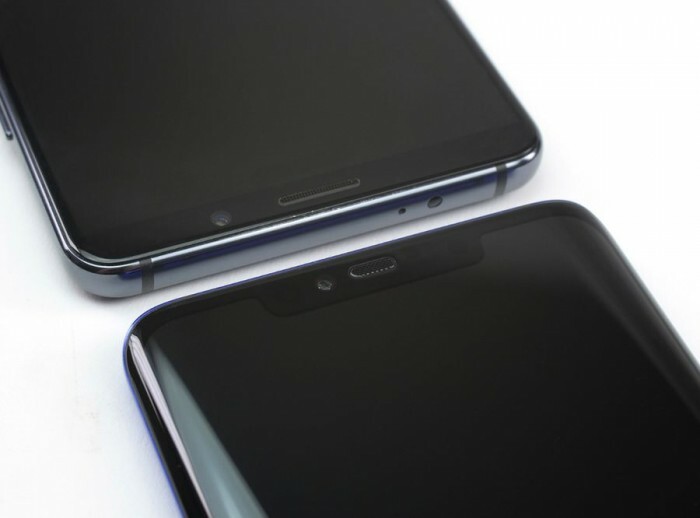 Yes, this is the under screen fingerprint module provided by Hui Ding technology, which is hidden below the AMOLED screen. It is not a capacitive fingerprint identification, but an optical fingerprint identification, which should be very familiar to Chinese users. 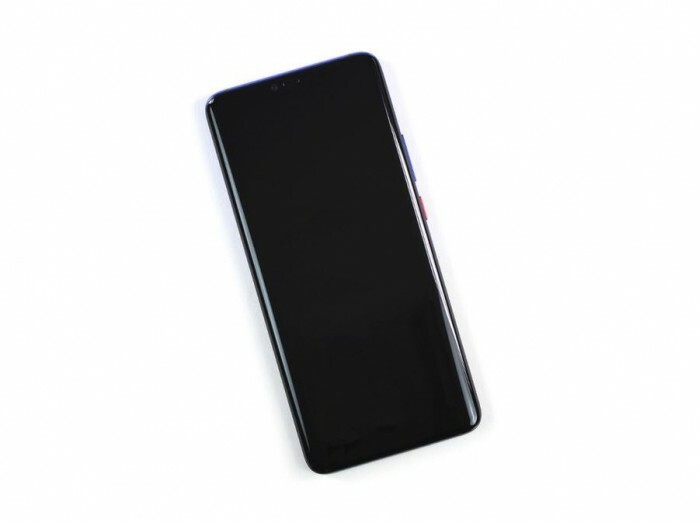 When the finger is placed on the screen, the screen illuminates the cell phone, and the sensor takes the opportunity to record the fingerprint information. This is really the end of the battle. This is the family portrait of Mate 20 Pro. 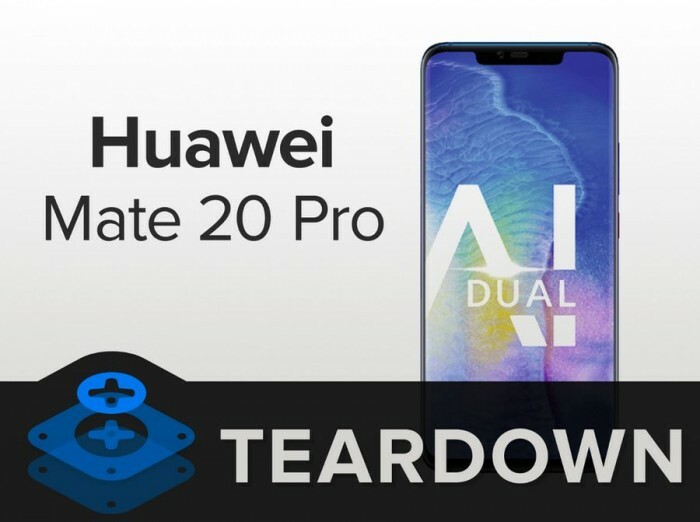 HUAWEI Mate 20 Pro evaluation: dazzling technology and hard power stabilized.